GOUNOD, CHARLES. (1818-1893). 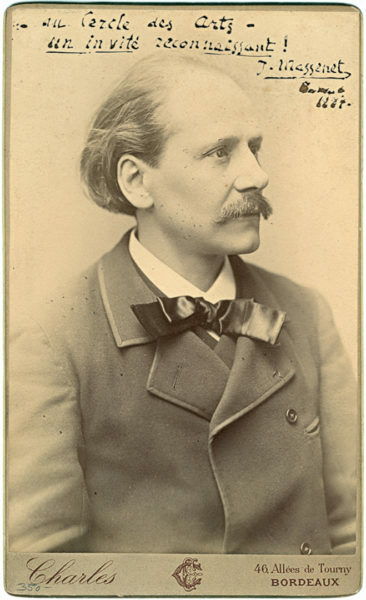 French composer. SP. (“Ch. Gounod”). 1p. Cabinet. N.p., N.d. Inscribed in French to the American opera singer AMALIA MIGNON “MINNIE” HAUK (1851-1929), a soprano known for her portrayal of Carmen, which she could perform in four languages. An attractive sepia portrait by Paris’ Bosch studio depicting Gounod seated at a table with his bowler next to him, his head resting on his hand as he gazes directly at the camera. 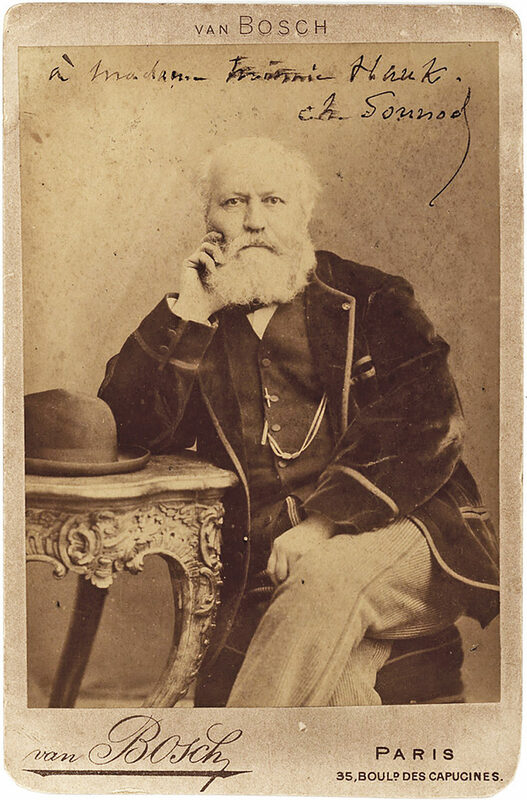 Gounod’s early love of sacred music inspired him to pursue a religious vocation, but soon after entering a Carmelite monastery in 1847 to prepare for the priesthood, Gounod left his studies and turned away from the composition of church music to seek fame and fortune in the world of opera. 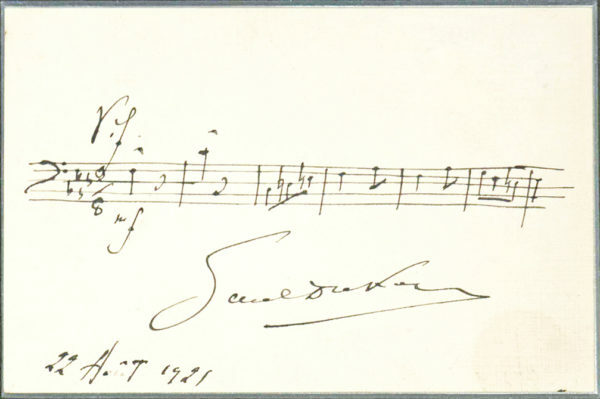 Sapho, his first opera, debuted in 1850 and nine years later the composer secured a place in the history of French music with his popular opera based on Goethe’s Faust. The career advantages derived from the wild success of Faust were, however, mitigated by an unpopular extramarital affair with amateur singer Georgina Weldon, begun in 1871. Though he continued to write operas, oratorios and masses, none of Gounod’s later compositions rivaled the popularity of Faust. 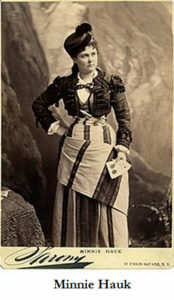 Hauk made her stage debut at the age of 14 and in 1867 appeared as Juliette in the American premiere of Gounod’s Roméo et Juliette. In the years that followed she appeared on stage across Europe, performing the lead role of Bizet’s Carmen in both the British and American premieres in 1878 as well as Massenet’s Manon for its 1885 American premiere. Incidentally, Hauk, the daughter of a German carpenter and his American wife, was long rumored to be the illegitimate daughter of American financier Leonard Jerome, based on her resemblance to his daughter Jennie Jerome Churchill, the mother of Winston Churchill. Inscribed in the upper portion of the image. 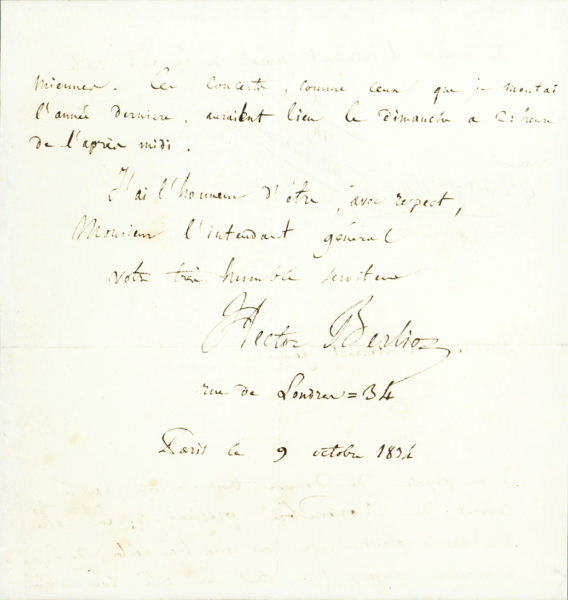 A part of the inscription and first two letters of the signature are lightly smudged. Age toned and in very good condition.